Seattle.gov/traffic – Your web resource for the Period of Maximum Constraint! With eight weeks until #Realign99, we’ve launched a new website! It’s here! To help you prepare for Seattle’s new era of tough traffic that begins on January 11, 2019, with a three-week closure of SR 99 downtown as WSDOT works to #Realign99 , we’ve worked with our partners in the City of Seattle and across the region to bring you www.seattle.gov/traffic, your one-stop resource during what we’re calling the Seattle Squeeze. 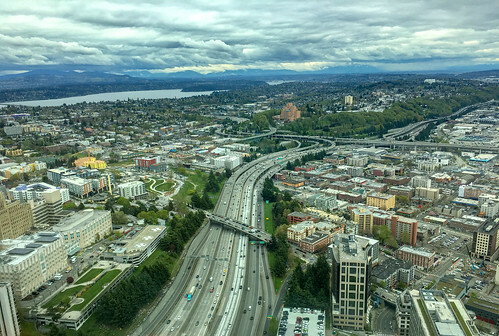 Beginning with WSDOT’s permanent closure of the Alaska Way Viaduct on January 11 and continuing over the next five years, Seattle is entering a new era of tough traffic. 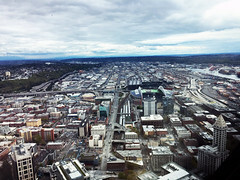 Even after the new SR 99 tunnel opens, the tough times will continue. Additional private and public megaprojects will continue to reduce capacity on our city streets and contribute to gridlock. All this will be worth it. But everyone traveling to and in Seattle needs to have a plan for commuting to work or school, appointments, and/or running simple errands. And lastly… Subscribe to traffic alerts for your commute. We’re providing the latest travel times, tips and suggestions for your commute and traffic alert twice per day to different neighborhood corridors to help you plan ahead! When the Viaduct closes, three solid weeks of construction begin. Crews will work around the clock to move SR 99 off the viaduct and into the new, two-mile SR 99 tunnel beneath downtown Seattle. 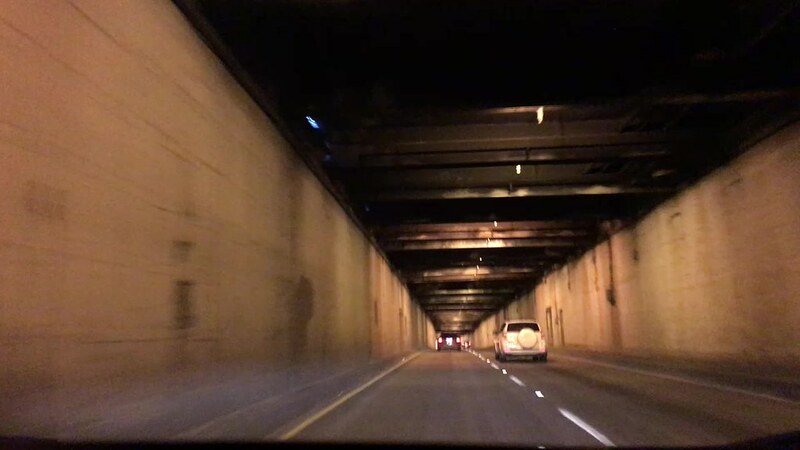 During the #Realign99 closure, the longest highway closure in Seattle’s history, both the viaduct and new tunnel will be closed. You can expect six weeks of impacts. Plan your trip, get bus and train info, and buy transit tickets on the GO! 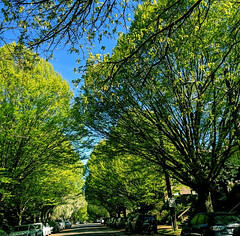 Image by King County Metro Transit GO program. Do you know there’s an app for that…Transit, that is? 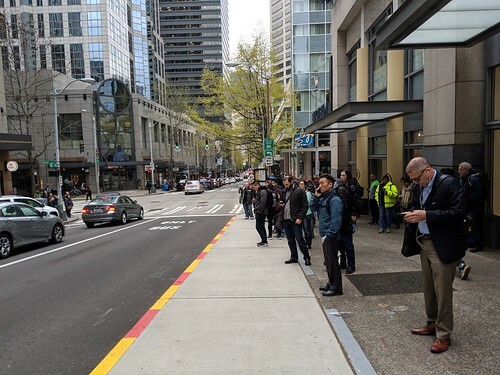 Back in September, we added over 300 bus trips each week on popular bus routes across Seattle, including 32 trips during the weekday’s busiest times to help alleviate crowded bus routes? The days of not having exact change, cash, or an ORCA card to hop on a bus are long gone? King County Metro has made getting on and off a bus super easy with their KC Metro Transit GO Ticket mobile app. Use your smartphone to buy your bus, rail, or water taxi ticket. Get your tickets electronically in an instant! Like cash, you can use your Transit GO Ticket to transfer to/from any Metro bus for up to 2 hours – from the time you activate your ticket. Using the Transit GO Ticket app is so easy. Ready to board? Do this. Enter a credit or debit card for payment. Boom – you’re good to Transit GO! Pro tip? You can also buy tickets through Metro’s “Marketplace” site on your PC or desktop, and select, “Save to phone” or to the cloud. When you’re ready, activate the ticket on your mobile device. Part of a greater story. We’re proactively adding bus trips on routes that’ll be impacted when the SR 99 Alaskan Way Viaduct closes on January 11, 2019. As the roadways become more congested, added transit service will be necessary to move people efficiently through the limited roadway space. To help relieve some of the downtown travel pressure, we’ve invested in projects and programs to ease the traffic constraints in the next five years. Learn more about the Period of Maximum Constraint here. A SPECIAL DELIVERY: UPS pilot kicks off with a public/private partnership creating a new urban delivery system. Seattle City Councilmember Mike O’Brien demonstrates UPS cargo e-bike. Special United Parcel Service (UPS) delivery “vehicles” will soon operate in the historic Pike Place Market and downtown Seattle area, on sidewalks and in designated bike lanes. At an October 25 unveiling, City Councilmember and Sustainability and Transportation Committee Chair, Mike O’Brien, demonstrated one of the new pedal-assist cargo e-bikes, complete with customized, modular trailer. This “first-of-its-kind” cargo e-bike is specifically designed to meet a variety of urban challenges. “The modular boxes and trailer allow us to expand our delivery capabilities and meet the unique needs of our Seattle customers,” said Scott Phillippi, UPS senior director of maintenance and engineering, international operations. Seattle Mayor Jenny A. Durkan underscored the importance of such innovation with growing traffic congestion and concerns over air quality. The right kind of CO² (Collaboration + Coordination). The cargo e-bike pilot is the result of open collaboration between UPS; the University of Washington Urban Freight Lab; the Seattle Freight Advisory Board (SFAB); Silver Eagle Manufacturing; City of Seattle leadership; and the Seattle Department of Transportation’s Final 50 Feet Program. 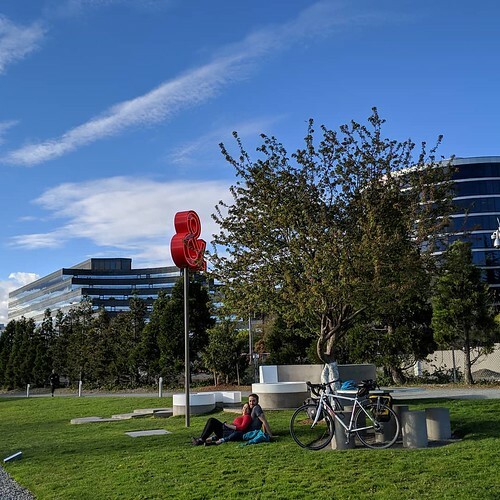 At the October 25, 2018, cargo e-bike launch, Councilmember O’Brien talked about the City’s desire to engage in more cooperative efforts, to help Seattle get through the period of maximum constraint. He highlighted the benefits of coordinating across different mobility modes, as with cargo e-bikes cross-pollinating freight and bicycle travel. Unintended consequences associated with downtown deliveries. 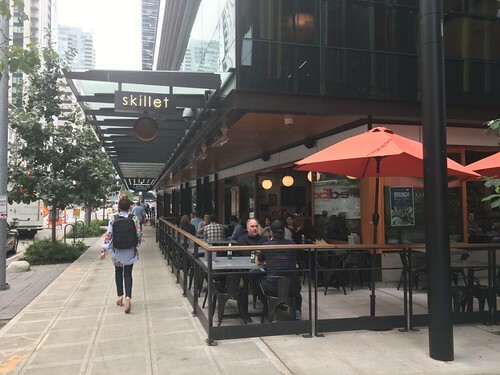 – All important issues as downtown Seattle experiences increased congestion, starting early 2019. Image courtesy of United Parcel Service. UPS partnered with us to develop plans for the new pilot program, expected to last approximately one year. If successful, the next step could be more delivery routes and additional cargo e-bike deliveries in other areas of the city. Each cargo e-bike has a battery-powered electric motor able to travel longer distances than traditional bikes, as well as carry substantial loads over hills and other terrains. The modular, detachable boxes on the trailer can hold up to 400 lbs. and have a 95 cubic foot capacity. Dr. Anne Goodchild, with SFAB members Jeanne Acutanza; Geri Poor; Frank Rose; and Kristal Fiser, and SDOT freight program team members Jude Willcher and Chris Eaves. Supporting the UPS cargo e-bike pilot and efficiently moving people and goods is a City priority in preparing for the January closure of the Alaskan Way Viaduct. Among the supporters are staff from our own SDOT Freight Program; members of the Seattle Freight Advisory Board (SFAB); and the UW Supply Chain Transportation and Logistics (SCTL) Center team. 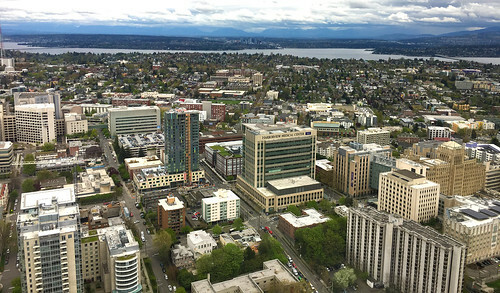 “We are excited to play a role in this innovative approach in an effort to reduce traffic congestion in Seattle,” said Dr. Anne Goodchild, SCTL director and a UW professor of civil and environmental engineering. UW’s Urban Freight Lab will work with UPS to evaluate the cargo e-bike’s reliability, design and integration into Seattle’s infrastructure, reviewing findings with SDOT to determine future urban delivery solution deployment. Seattle ranked #1 best bike city in America! Bicycling magazine ranks Seattle as the #1 best bike city in America! “From building bike lanes to boosting bike share to installing bike-specific traffic signals and simply creating more fun places and ways to ride,…” Bicycling magazine ranked 50 American cities that are creating the most awesome urban riding experience that benefits everyone and Seattle is #1. What – an – honor! Safety (40 points) – was at the top! Accessibility (30 points)- for riders of all ages. Energy (20 points) – aka, political climate. Culture (10 points) – all the things that make for a glorious ride. 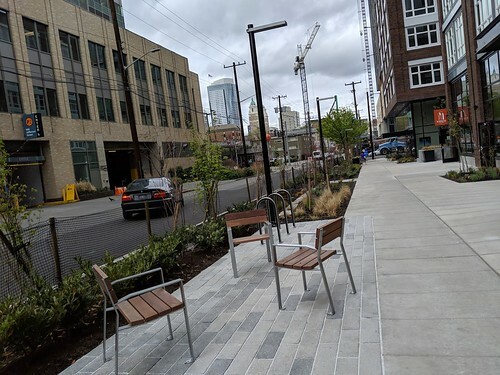 The Dearborn PBL is under construction and will be mostly completed this year. 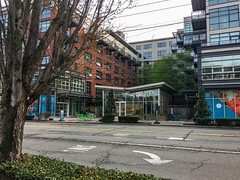 The NE 54th St safety project has just started construction and will provide PBLs in its vibrant community center to connect with the Roosevelt PBL. The Rainier Valley neighborhood greenway is going through its final touches and is our longest greenway (5.5 miles)! 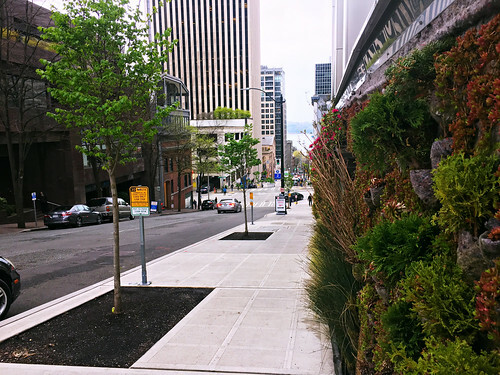 The 2nd Ave PBL ridership has increased by 31% compared to this time in 2017. 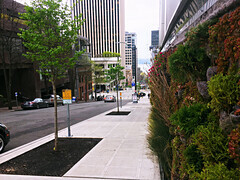 The Elliot Bay Trail ridership has increased by 12.3%. The Fremont Bridge ridership has increased by 10%. 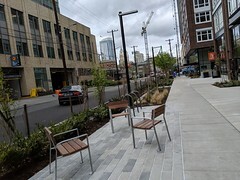 You can anticipate the Pike/Pine connection to Broadway and south downtown connection from 2nd Ave to Dearborn coming soon. This speaks to our concrete buffers, lean rails, bike signals, etc. 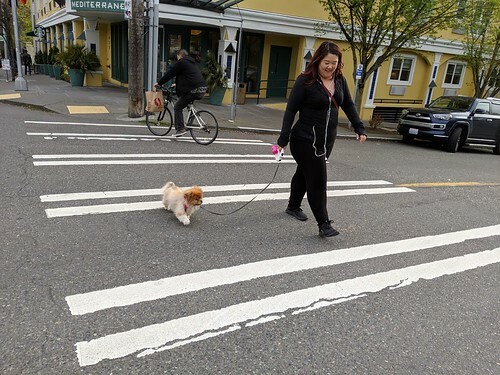 But this also includes our Vision Zero safety-minded design like vehicle traffic calming adds of timing traffic signals, narrowing lanes, adding traffic island, speed humps, etc. It’s getting safer for people riding bicycles. Bicycle collisions have declined by 8.6% and fatal/serious injury crashes involving bicycle riders have declined by 27.6% between 2016 and 2017. Being one of the first American cities to pilot bike share and turning it into a City program. 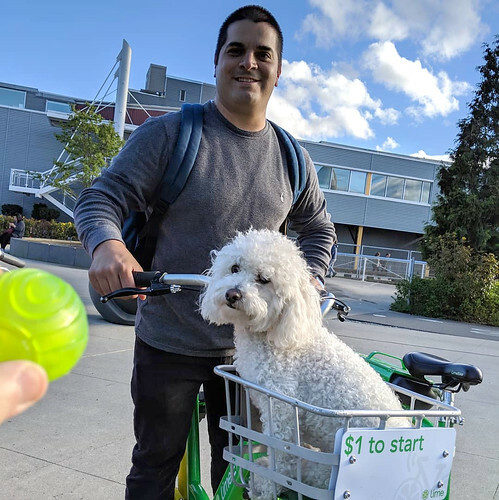 Free-floating bike share has been a big success in Seattle—and we know there’s more work to be done to get it right for everyone. 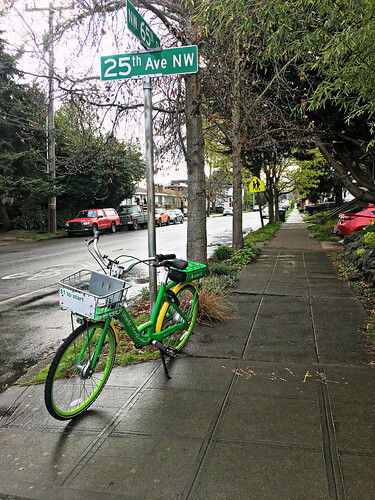 Take a look at our Bike Share Pilot Evaluation to learn more about what worked, what didn’t, and what we learned during the pilot study period. Just so you know – in July, we saw our highest bike share ridership ever with almost 300k trips in a month! All this said, we’re still working hard to make all of this even better for you. Our work continues. A huge thank you to Seattle, our bike advocates, and our City team! Bike mobility improvements are a part of a greater story. Connecting our bike network is a part of a greater story. Seattle is in a period of maximum constraint, – over a thousand public and private construction projects will be underway in the next five years and as a result, people who travel in and around downtown will be impacted by increased construction, which will lead to more congestion with additional street closures and ongoing delays. 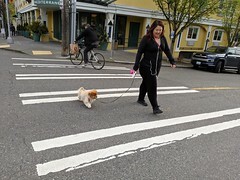 Building pedestrian and mobility improvements are a part of the greater plan for mobility options. We’ve prioritized five key areas for downtown mobility for the period of maximum constraint. Join the Convo! 3 Neighborhoods that will soon be better connected by Link light rail in 2021! 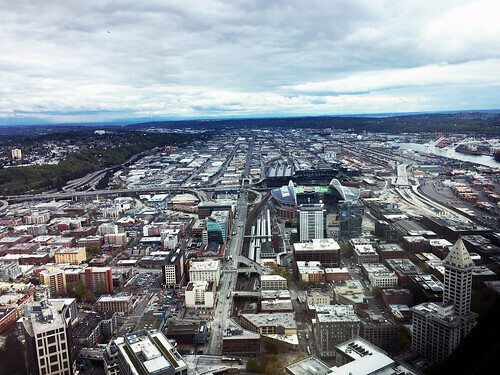 By now, most of you know that how you get around downtown Seattle is rapidly changing. We’ve made investments around the city to help you get around and for many travelers, the time is now to adjust and adapt to the new normal. The University District (U District) is no different. 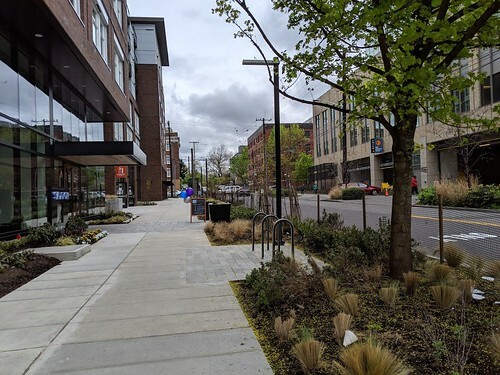 This urban center adjacent to the University of Washington is seeing investments that will change how people get to and from the neighborhood – including the opening of a new Link Light Rail station in 2021. 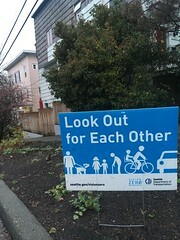 To assist residents and commuters, as well as a focus on small business support, U District, Let’s Go! connects people working, living, and visiting the U District with transportation resources and assistance so that they can navigate and leverage the increased economic capacity and growth brought by light rail. The value of shared insights – because we’re in it together. Earlier this year at the recent U District, Let’s Go!‘s (UDLG) Transit Talk, Rachel Marshall, co-founder of Rachel’s Ginger Beer (and two small businesses near the Capitol Hill Link light rail station), shared her insights on what she learned when her neighborhood was preparing for the light rail, one of which was the value of looking at what other neighborhoods are doing. Connecting, talking, and learning from each other is what is inspiring the next U District, Let’s Go! Transit Talk, We’re in it Together, on October 4, at 6:30 PM at the Urban Luxe Café. 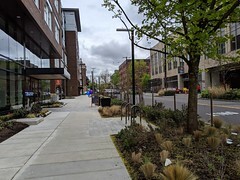 We’re in it Together is the convening of three neighborhoods, U District, Roosevelt, and Northgate that will soon be better connected by Link light rail in 2021. “I’ve seen several examples of how organizations have stayed ahead of changes and have heard a lot of great ideas too,” said Castro. The Transit Talk is a way for these neighborhoods to showcase what they are working on, what concerns they have, and maybe get a few interested volunteers. What’s happening in the next two years. 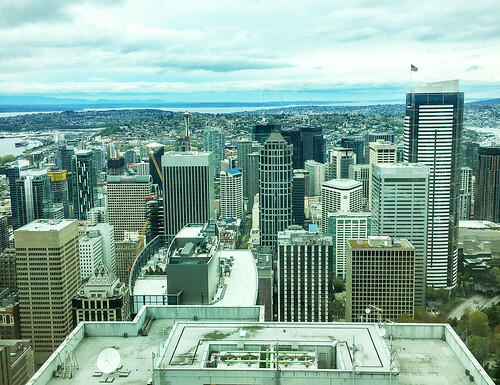 Representatives from neighborhood organizations and from public agencies like King County Metro Transit and Seattle Department of Transportation (SDOT) will talk about what lies ahead in the next two years and beyond. Another goal is to learn about upcoming transportation projects associated with the light rail station opening, discuss changes these neighborhoods can expect between now and 2021, and how community stakeholders can engage in getting ready for these three new light rail stations. Redinger and Castro hope that the event will help attendees gain valuable information, inspire creativity, and bring meaningful dialogue on how communities can engage with each other and with public agencies. “Our three neighborhoods are about to get closer, we should start talking now,” said Castro. Let’s learn from our collective creativity! Save your seat and engage with the entire line up of speakers. RSVP.